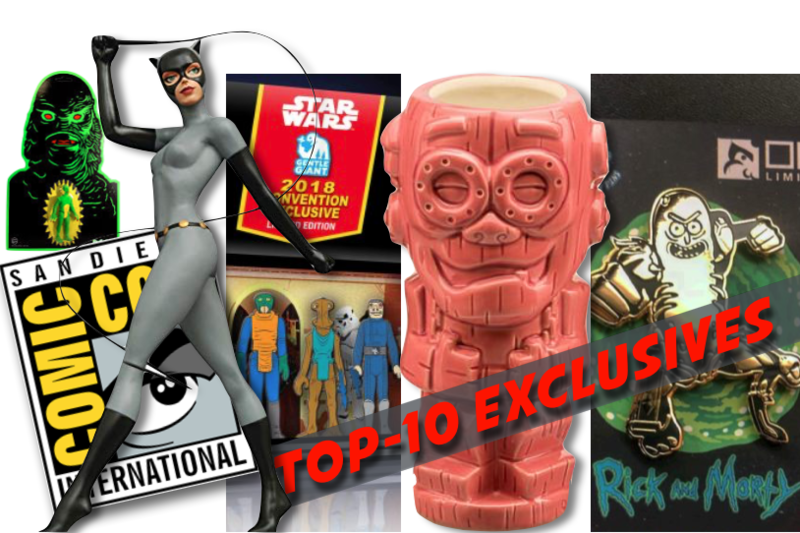 Here are the top-10 exclusives that we’re stoked about for San Diego Comic-Con 2018! Each year, collectors descend on San Diego in their quest for a part of the sacred Comic-Con pie. Our mid-west correspondent, Jake Jarele (on instagram at the_jacobah_system) scoured the lists of exclusives and put together this awesome guide. Tell us what you think — or better yet, message us if you find these items. We’re on the hunt!